Join the MIT Press Bookstore for a reading to launch Using Electricity, a new series of computer generated books from Counterpath, meant to reward reading in conventional and unconventional ways. Featured readers are Ranjit Bhatnagar, Li Zilles, Milton Läufer, and series editor Nick Montfort. Ranjit Bhatnagar works in music, installation, and text, with a particular interest in algorithmic techniques and in improvisation at all stages of creation. His book Encomials: Sonnets from Pentametron is a book of sonnets written by computer and by the world. Li Zilles is a language hacker and programmer, and author of two previous computer-generated books, The Seeker and Our Story. Their book, Machine, Unlearning, was created by a computer program that constructs “litanies” of questions. Ranging from obvious to awkward, natural to uncanny, these generated streams of inquiry work to frame the assumptions embedded within the model in a (somewhat) human-interpretable way. Milton Läufer is an Argentinian writer, journalist and teacher. He has published articles and short stories in Esquire, Vice, Guernica, CIA Revista, and Otra Parte, among others. His novel A Noise Such as a Man Might Make is based on two iconic American novels, a computer conflation using a well-known algorithm that has been applied to language since the middle of the 20th Century. 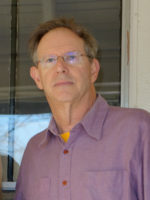 Series editor Nick Montfort is professor of digital media at MIT and is an author or editor of fifteen books. The Truelist, the first book in the Using Electricity series, is a book-length poem generated by a one-page, stand-alone computer program.